Lovely day today...out in the garden, now that guests are checked-in. 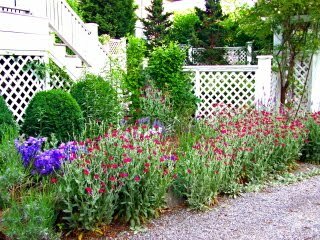 One of my favorite plants is called Lycnis coronaria. 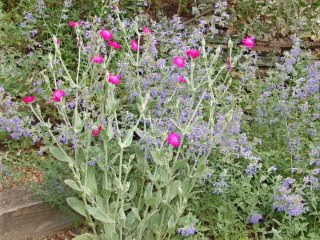 The common name is "rose campion". It's a prolific seed producer, so don't plant it if you don't like it! 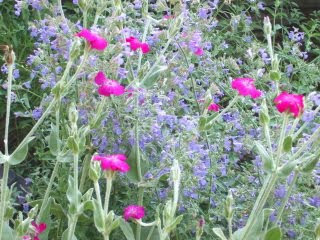 I love silver-gray foliage and flowers that are bright magenta or white. 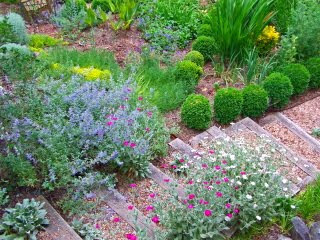 They look spectacular in mass plantings.